Ever wondered how to investigate ghosts and hauntings? What methods do real-life paranormal investigators use in separating truth from myth? How does the equipment work? What are all the tricks of the trade? The people behind the Australian Paranormal and Spiritual Expo are bringing you this unique, 6 hour intensive workshop, focussing on the Ghosts and Hauntings side of paranormal investigation. Being held at Parramatta Gaol, this is aimed at being practical, hands-on workshop for anyone who has an interest in the ghosts and haunting side of paranormal investigation. Ash has been investigating for approximately 15 years. He started off in the UFOlogy side of the field, and migrated to ghosts and hauntings about five years ago. 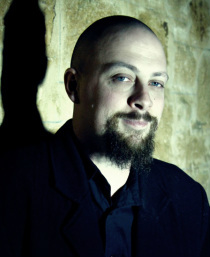 He has investigated all over South Australia, Victoria and New South Wales as The Paranormal Guide, and conducts weekly investigations in his job as a tour guide. Nic and Peet have been running successful ghost tours and paranormal investigations at haunted venues since the beginning of 2012. They enjoy teaching people the tricks of the trade, and love thinking up new ways of experimentation. They are the Directors of APPI – Australian Paranormal Phenomenon Investigators and frequently hold ghost tours and paranormal investigation nights at the Casula Powerhouse Arts Centre, the Liverpool TAFE and Parramatta Gaol.